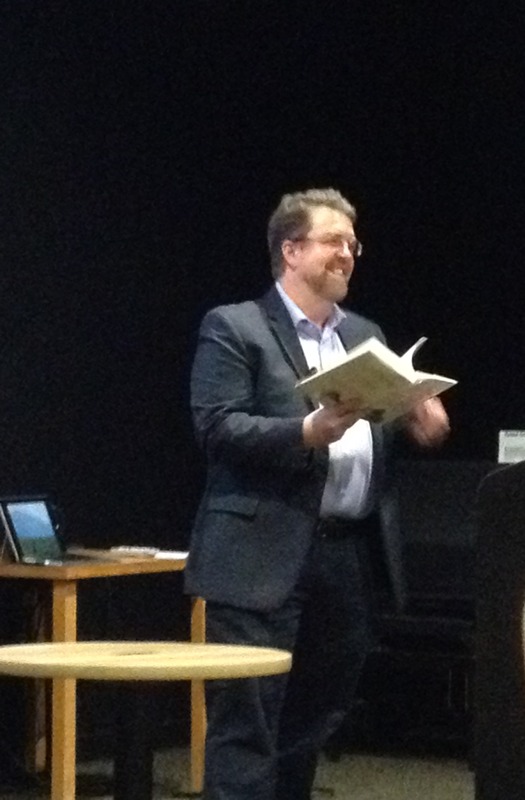 Giller Prize-winning author Will Ferguson started off his talk by saying “Rwanda itself is a big idea. It represents something.” He said it represents the best and the worst of human nature. He read the beginning of his book to us. I found his writing refreshing and very descriptive—he was a very good storyteller and the tone of his writing was humorous, sympathetic, and informative. 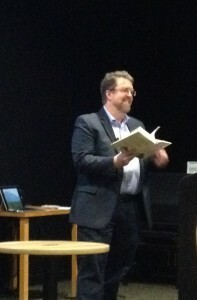 Will Ferguson reads from his new book, Road Trip Rwanda, out now. I learned a lot about Rwanda during his talk. You could tell he was extremely passionate and educated about Rwanda and its community. I appreciated his history lesson of Rwanda and its genocide, because it helped to set his readers up to better understand and appreciate the story of his time in Rwanda. He said, at one point, that the Rwandan genocide “[had] a killing rate five times that of the Nazis.” His facts were heart wrenching, but his hope for the future of Rwanda was inspiring. He also shared pictures of his trip, which opened our eyes to the tragedy that struck Rwanda. I found myself tearing up with the stories he told us of the locals he met that were survivors of the genocide. Along with the respectful silence that overwhelmed his audience, he also had us laughing quite a few times when he told us some of his anecdotes while in Rwanda with his friend Jean-Claude Munyezamu. Such as how Jean-Claude, who is not a drinker, “ruined” their road trip because it was a road trip without beer. Overall, I certainly enjoyed my time listening to Will Ferguson—this Big Ideas session was extraordinary. Road Trip Rwanda is available in stores and online.